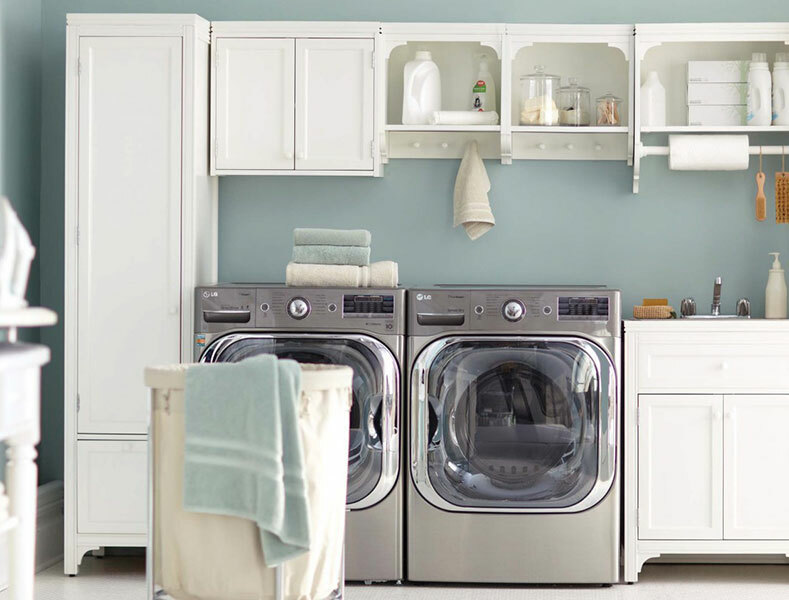 Most homeowners enjoy the ease of having a washer in their laundry room. Having heaps of dirty clothes and sheets handled economically is often taken for granted. That is, until the washer stops working and leaves you with loads of laundry to deal with all by yourself. As soon as you detect a problem with your washer, call a professional who can do washer repair at once. Generally, this is the result of a tripped or off-balanced switch from an unbalanced load of clothes. This can be quickly fixed by redistributing the laundry. Otherwise, you might have trouble with the timer circuits or your outlet. The washer doesn’t spin properly. When the laundry is still soaked after a wash cycle, it could mean the machine is not spinning. This may be because of a faulty lid switch or plunger, burnt spinner, broken wires, depleted drive belt, or lousy timer contact. The washer doesn’t have agitation. There are lots of reasons for zero agitation such as a damaged drive belt, incorrect agitator set up or malfunctioning transmission lever. It could also be the result of bad interior timer contact, damaged lid switch, or broken pressure switch. The washer gives off extreme vibrations. If you see an increase in vibration, your machine might not be leveled properly. It may also be positioned on a weak wooden floor. Damaged damper pads can also be the culprit. Excessive soap, loosened hoses, drain pipe blockage, and dripping pumps could be the reason for washer leaks. The washer doesn’t drain the water properly. The laundry water remains in the drum if you have a malfunctioning pump, defective drive belt, or plugged drain hose. When the machine doesn’t drain water the right way, it may trigger serious problems. Look at your washer’s water hoses for indications of misuse or damage several times a year. If you find any splits, replace the hose right away. Any damage may lead to a leak, which can cause serious damage to your floor. Stick to the manual’s guidelines for the ideal laundry loading sizes. Oversized loads of laundry can throw the washer off balance, which may prompt machine problems. It’s unusual for the washer to cause vibrations on the floor or walls of the laundry room. If your washer isn’t level, it will rock back and forth and give off extreme vibrations. It’s best to keep the machine close to the floor. The closer it is to the floor, the less it’ll shake. Use the correct amount of laundry detergent. No matter what’s written on the detergent packaging, stick to the machine’s manual for the suggested amount of detergent to use for every wash.
Clean the washer’s interior once a month. It’s normal for detergent residue to accumulate within the machine tubs. Use a washer cleaner once a month to keep your machine odor-free. Also, liquid fabric softener builds up along its dispenser. Use a damp cloth soaked in hot water to wash and clean the dispenser every now and then. Now more than ever, the online world is filled with individuals who boast of being experts on all kinds of things. The existence of these people, and the content they create, encourage those aiming to save money to try to fix problems that could result to more damage. A great example of a DIY project is home appliance repair, and more particularly, fixing a washer. While it appears like a fairly basic machine, your washer has all sorts of bits and pieces essential for it to function properly. The inaccurate installation or incorrect part replacement can turn your washer into nothing more than just a chunk of an appliance in your laundry room. You’re not alone in hesitating to spend cash for repairs, but you’ll spend a lot more money to repair problems the washer didn’t have in the first place. Also, opening up your washer means disregarding the safety measures the machine’s manufacturer issues about their product. Sure, the DIY tutorial online makes it look very easy. But, if that’s really the case, then why is there a demand for washer repair in most counties in the US? Keep in mind that a single sign of a problem may be caused by several different things. These reasons have no universal solution. To avoid the dangers of DIY washer repairs, you need to ask for the expert’s help. The truth is, washers are susceptible to damage because they’re often used. If your machine is busted, drop the idea of doing DIY repair. The most effective solution is to hire professionals who can fix the problem. We specialize in all major brands. We service Admiral, Amana, Asko, Bosch, DCS, Electrolux, Frigidaire, General Electric/GE, Jenn–Air, Kenmore, KitchenAid, LG, Samsung, Sears, Speed Queen, Whirlpool and more! We provide same-day service. We work tirelessly to provide you with the fastest possible response every time you need our service. We also offer emergency repair services. We only use genuine parts for replacements. We also provide up to five years of warranty for the parts. We have fully stocked trucks. We can fix your problem right away because we keep all of our trucks fully stocked with every part necessary for any appliance repair. Save yourself from doing manual laundry, and call us at 714-312-5968. I called this company to have my Samsung dryer repaired. Mark arrived in time, looked at my dryer and diagnosed the problem right away. He had a huge stock of parts in his van and luckily he was able to fix my dryer right away, no second appointment needed. Great service. I called D&V Appliance Repair based on their Yelp reviews and I wasn't disappointing, My dryer was repaired in one visit, I was able to do my laundry the same day. Dealing with D&V Appliance Repair was very convenient and their customer service is very reactive. They did an amazing job repairing my Whirlpool washer. Copyright 2014-2019 D&V Appliance Repair All rights reserved.